Results of this year’s study indicate strong growth and the increasing importance of the Swiss fintech sector. In 2018, the Swiss fintech sector grew significantly, not only in terms of the total number of companies but also in terms of the venture capital invested. The research estimates that as of the end of 2018, there were a total of 356 fintech companies in Switzerland, corresponding to a growth rate of 62% compared to the year 2017. Additionally, judging by the increasing number of employees and capitalizations of the companies, the Swiss fintech sector is also maturing. 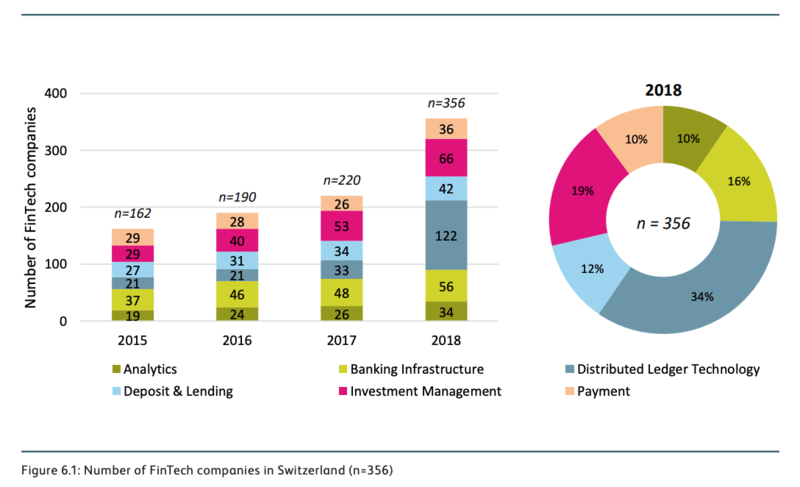 The significant growth of the Swiss fintech sector last year was largely driven by companies in the field of distributed ledger technology (DLT) and blockchain, whose number more than tripled in 2018 to reach 122 companies. 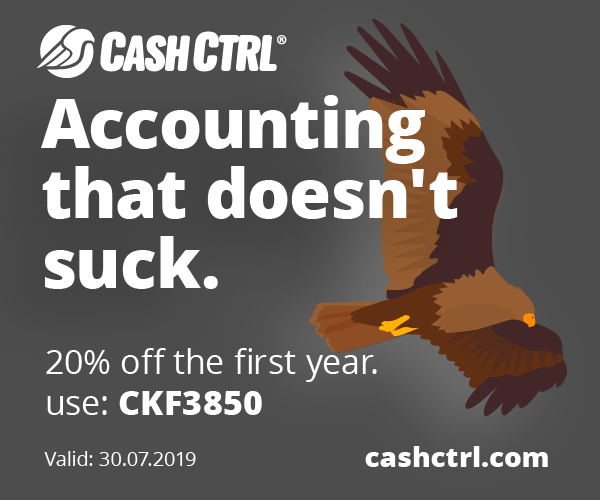 These represented over one third of all Swiss fintech companies. After blockchain and DLT, investment management was the second most crowded segment with 66 active companies, followed by banking infrastructure with 56, deposit and lending with 42, payments with 36, and analytics with 34. 2018 was a record year in terms of venture capital investment volumes into the Swiss fintech sector. Over the course of the year, a total of 68 publicly available funding rounds were conducted raising a total amount of CHF 324 million. Though the number of funding rounds remained unchanged, the total investment amount more than doubled (+149%). 2018’s largest funding round was SEBA Crypto AG, which raised a total of CHF 100 million. 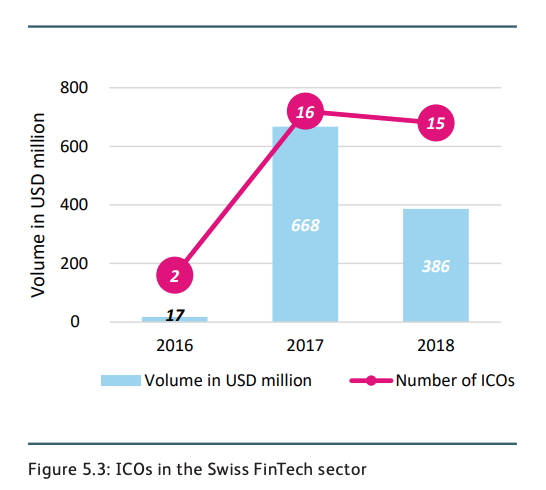 Besides venture capital, there were also multiple initial coin offerings (ICOs) in the Swiss fintech sector in 2018. ICOs conducted by Swiss fintech companies raised a total of US$386 million last year through 15 campaigns. The figures represent a decrease in both the number of ICOs and the total volume raised. The largest ICO in 2018 was conducted by cryptocurrency mining firm Envion, which raised over CHF 90 million. Last month, the Swiss Financial Market Supervisory Authority (FINMA) said that the ICO of Envion was held illegally and “seriously violated supervisory law.” Envion is currently in liquidation. 2018 witnessed the launch of several new incubator and accelerator programs, as well as initiatives aimed at supporting the Swiss fintech sector. 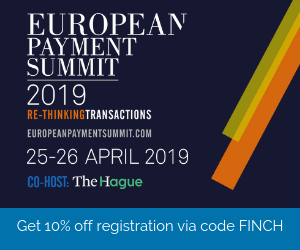 Examples include the CV Labs blockchain incubator, the Salesforce Accelerate program for the EMEA region by Salesforce, and the Venture Leaders Fintech roadshow organized by Venturelab. Another development was the creation of new co-working spaces. The most notable examples are CV Labs, located in Zug, and Trust Square located in Zurich, both providing co-working spaces to startups and established companies in the field of blockchain and DLT. 2018 also saw the establishment of three new associations related to fintech: two in the field of DLT, the Capital Markets and Technology Association (CMTA) and the Swiss Blockchain Association, and one in the field of crowdfunding, the Swiss Marketplace Lending Association. Switzerland now counts a shocking amount of 16 fintech-related associations. 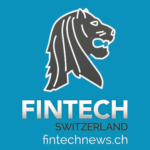 These include Swiss Finance + Technology Association (SFTA), Swiss Finance Startups, Swiss Fintech Innovations, and the Crypto Valley Association.